As part of my ‘ultra mobile video editing‘ project I’ve bought myself a second notebook. Previously I worked with the Acer Aspire One 522 based on the AMD Ontario APU. This time I’ve bought a Lenovo S205 notebook based on the E-350 Zacate APU and have moved up a notch in my search for a good-value, low-stress 720p editing and rendering solution. 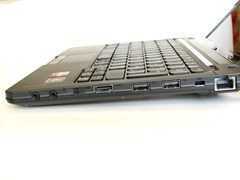 Like the Toshiba NB550D I tested last week, the Lenovo S205 lightweight laptop feels like solid, a well-built device. I’m sure Lenovo could have shaved 100gm from the plastics but it looks like they’ve adhered to their build quality standards with the S205. The materials feel good, the finish is nice and the keyboard is a very high quality feature. For 399 Euro you get the dual-core Zacate CPU running at 1.6Ghz with the Radeon HD6310 GPU with HD decoders. There’s 4GB of RAM, a useful 500GB hard drive (in two partitions with 400GB free on one, 27GB free on the other intended for ‘One-Touch Recovery’ images) and it’s running Windows Home Premium. The 11.6 inch screen has a useful 1366×768 resolution which, along with the excellent keyboard, reduces stress levels when sat down trying to create any sort of rich document where images, links and other items that need to be pulled together from various sources. Veriface facial recognition software is included which initially quite exciting to use but it’s much slower than typing in a password. One-Touch Recovery is software that can take a snapshot of the operating system drive and save it as am image. This is useful when you’ve got your initial build stable and efficient. A boot optimiser and power management application are included and there’s a DirectShare application which hasn’t been tested yet. It does weigh 1.47KG though which is a noticeable step up from a 1.2KG netbook. Along with that, there’s a significant increase in battery drain meaning the rather low-end 48Wh 6-cell battery could be drained in 2 hours if you try hard. In a video rendering test with the screen and Wifi on I was seeing 16Watts being used which equates to 3hrs. After removal of McAfee and may Windows 7 effects, a reboot and a settling down period, I’m now seeing an average drain of 6W with Wifi off, screen on a 20% setting and the Livewriter application running. As a typewriter, you’re looking at about 6-7 hours of battery life. That’s quite the dynamic range there. Anything between 2 and 8 hours depending on usage! If only Lenovo had put a high-capacity battery in this. 60Wh would have permitted an ‘up to 10 hours’ marketing statement. 5hrs is the claim and that seems reasonable. Acer Aspire One 522, Left. Lenovo S205, Right. Click to enlarge. You can see 50-60% CPU performance increase (which relates to the 60% clockrate increase) and the disk and memory get a boost too. I’m confused about the open GL scores though. CrystalMark is quite an old test so perhaps the improvements aren’t showing up in this test. I tried 3D Mark 03 on the Lenovo S205 but it crashed after the first test. 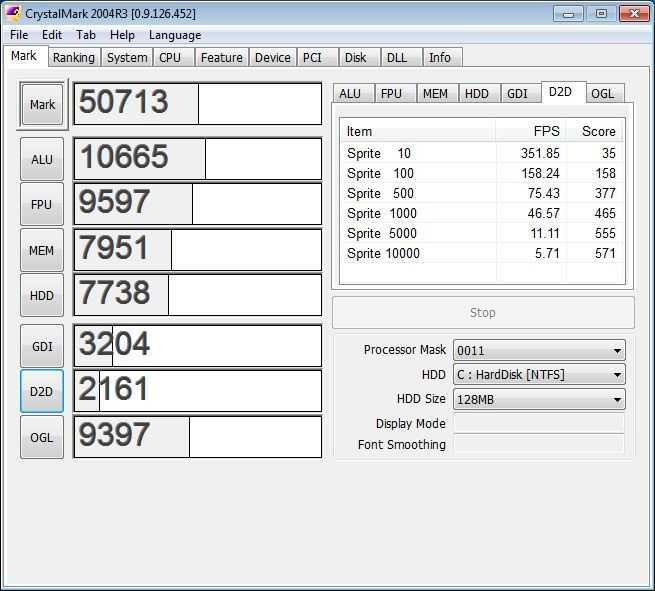 3DMark 06 was tested on the S205 over at Ndevil.com with a result of 1995 points. 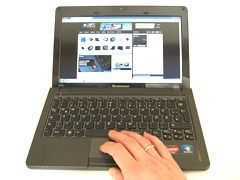 Interestingly, Netbooknews tested the NB550d, based on the Ontario platform, and saw 1889 points. Again I’m confused about the graphics performance here. Update: The results could have been due to the issue I experienced above. Fan â€“ On most of the time and varies in pitch a lot. Not annoying, but noticeable. Screen â€“ Good clarity, contrast and brightness. Excellent side-to-side viewing angles. Opening angle not great, Hinges seem OK. Mouse and mouse buttons â€“ Good quality. Small touchpad area might take some getting used to but it avoids accidental wrist touches. Speaker â€“ (Mono I believe) OK for the occasional video, skype session. Hard drive includes movement detection and protection. While the AMD platform inside the S205 idles down nicely to show an efficient build, it’s capable of draining battery faster than any netbook I’ve seen. The 7 hour battery life seen when typing a document could drop to 2hrs when gaming. Heavy CPU usage will also push the drain up and the battery life down towards the three hours mark. Average battery life for the normal user looks to be about 20-30% less than on a 10 inch netbook, about 4 hours with the included 48Wh battery. If Lenovo had dropped in a high capacity battery we would be looking at a much more interesting 5hr figure but that’s not the case. I like the build quality and the 1366×768 screen is OK for my eyes at standard settings in this 11.6 inch frame. It’s also good for some applications that require 768 pixels vertically before they install or run. Performance is good but not in a new league compared to the latest Atom N570 and Ion2 platform. I honestly expected more from the CPU and I’m confused at the 3D test results I’ve seen. In general, it’s a well-balance system and performs most daily tasks well. In my daily routine, a largely web-based office existence, the S205 performs well. The keyboard and mouse are impressive and when combined with the screen, it’s a noticeably less stressful experience than when using a netbook. For the price, I paid 399 Euros, the Lenovo S205 is a high quality, well balanced and flexible device that offers enough power for everyday computing, some gaming and an impressive show of high-definition playback performance. It’s a sensible choice, almost boring, but one that will keep many happy and provide a good upgrade from a 2-year old netbook. I was really expecting more from the E-350 CPU and it’s clear from early tests that this isn’t the comfortable, ultra-mobile 720p editing solution that I’m looking for. 3hrs rendering battery life equates to about 45 minutes of 720p video rendering. While that might be enough for a days worth of clips, it’s doesn’t leave enough battery life left for typing the articles (although there’s some scope for typing while rendering here â€“ it seems to multitask well.) Like the Dual-core Atom and C-50 devices, this is for 480p only and I’d class it in the high-end netbook performance category. 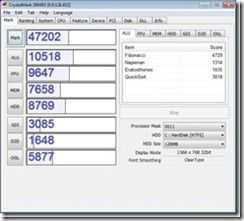 An SSD is going to boost startup performance nicely but with the disk appearing to perform well anyway, it may not be as noticeable as on some other devices. I love the build quality and want to keep the S205 but I know there are better solutions out there. Your suggestions for next-in-line on this test series are welcome! I’m looking at Corei3, i5 solutions next. I took a step outside my usual 10 inch, 1KG zone today by buying an 11.6 inch notebook. I explain the reasons in an earlier post so I wont go over it again but suffice to say, there are good reasons for buying it. So far I’m impressed with the build quality, screen and keyboard (all very, very important) but not so impressed with the E-350 CPU performance. I expected more. I’ll be doing more testing over the next few days so watch out for my review notes and impressions soon. In the meantime, enjoy the video. 3x USB2.0, HDMI, VGA, headphone, mic connectors. 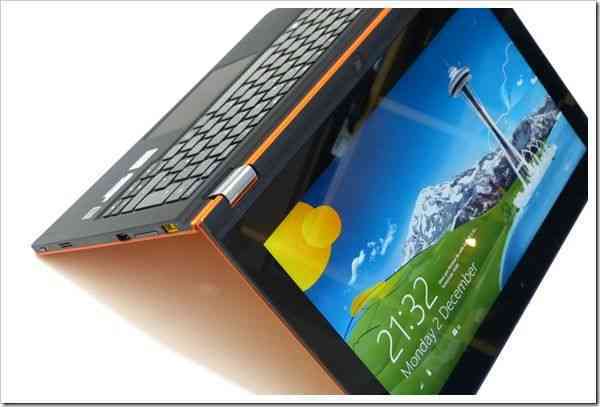 Weights, Sizes, Battery Life and ‘Netbook’ Restrictions – What’s More Important to You? I’m ready to consider an 11.6 or even a 12 inch screen now and its based on my requirement to run some more complex software on a device that has a higher resolution. The problem is, while I can bear a bigger footprint, I can’t bear much more weight. My Gigabyte Touchnote with its Runcore SSD and 2GB upgrade has served me well for 2 years but with the extended battery I’m down to 4hrs so it really is time to think about something new. The Touchnote weighs 1.45KG in its current form and there’s no way I want to go above that; In fact I’m looking to get as close as I can to 1KG. I’m also looking to stay with ‘just enough’ CPU which keeps the price down and allows me to stay in the low-power, long-battery life bracket. For me though, ‘just enough’ means dual-core Atom N550/N570 or AMD C-50 and if I consider my video editing project, it could be higher than that. As I look at devices like the ASUS EeePC 1015PN and the Samsung NC210 I see Windows Starter, 1GB and 1024×600 screens but weights below 1.25KG. 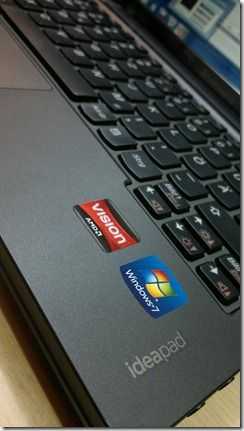 There’s also the AMD C-50-based Toshiba NB550D and the EeePC 1015b which at 1.3KG offers 2GB and, we hope, Windows options. The Fujitsu Lifebook PH530 is an interesting 1.33KG option with Core i3 and an 11.5 inch screen but in the 12 inch range you really are looking at 1.5KG unless you are prepared to pay serious money. With my Android tablet PC taking over some of my netbook work now (many of my shorter posts last week were done with the Galaxy Tab) I’m not worried about having 8hr battery life. A solid 4-5hrs is fine so perhaps that means I can go up with the CPU and down with the battery life. I get the feeling that there are a lot of you out there that are in the same position. You’ve had your netbook for a year or two and you’re looking for another mobile productivity solution. So what’s your preference? Do you want to keep it small or light? 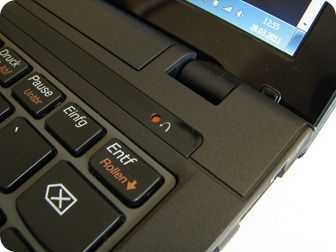 Do you want to break out of the Intel netbook restrictions or are you happy to carry on inside their restrictions? Feel free to comment below and of course, if you have buying tips, lets hear them. 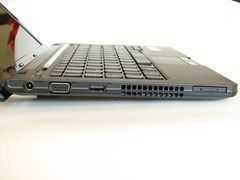 Dell’s E-Slim 12" Netbook Crosses over to the danger zone. If Intel can prevent OEM’s from using the Dual Core CPU in their netbook and notebook designs, how come they can’t stop Dell using the Z-Series Atom in a notebook? Just as the Dual-core CPU could damage notebook sales, so to could putting a 12" screen on a netbook, even if it didn’t have a dual-core CPU inside. I was alerted to this misnomer [hmmm wrong word perhaps. Anomaly?] today via a brief news item today from Tony Smith of The Register who draws the conclusion that the name of a leaked Dell device that will go on sale at UK supermarket Tesco, the Z530, means it will have an Atom Z530 inside. Actually he’s right because if you look back to the early leaks, you find a 12.1" ‘E-Slim’ device based on Silverthorne. Dell are actually going to throw a device right into the middle of the consumer laptop arena and give it netbook-style pricing. This is the danger zone and possibly the beginning of the end for netbooks as we knew them. 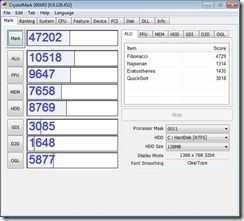 Why the Silverthorne CPU and Poulsbo chipset though? Style, Battery life and video. 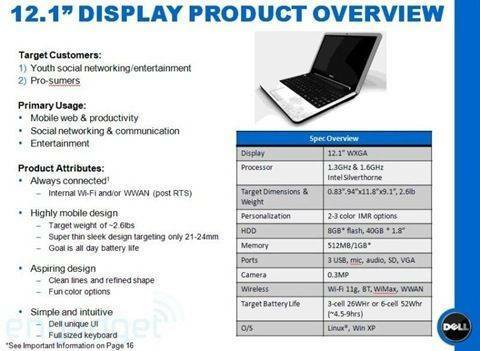 It’s going to be a normal laptop aimed at ‘pro-sumers’ and the ‘Youth social networking/entertainment’ customers. They are aiming for a cheap, super-slim device with ‘all day’ battery life with high-end video playback support and the only way they can do it is to move to the latest Intel MID silicon. I like the idea myself. I have a ultra mobile PC (Still haven’t pulled the trigger on a new Q1 U HSDPA yet though) and a stylish, 12" ultralight with long, long battery life and high-end hardware decoded video playback would suit me as a partner device to take to conferences and to use for hot-desking. 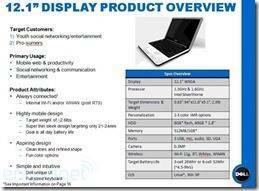 Why am I even talking about this 12" notebook on UMPCPortal though? Apart from it further bluring the edges of the, once well-defined, netbook category, there are a number of other reasons. The main one for us is that it will be running XP and that means drivers! 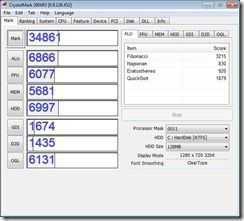 Those of us waiting for drivers for the SC3, D4, SX3, M528 and Aigo MID are going to finally have XP drivers for the chipset. One can assume that if Dell is the customer, the device will have working drivers too! The second point is one that I alluded to earlier and one that I’ve just detailed in an email report to UMPCPortal sponsors and donators. The netbook market is going to be damaging because consumers are finding that they can use a netbook in place of a normal laptop. It IS powerful enough for many. 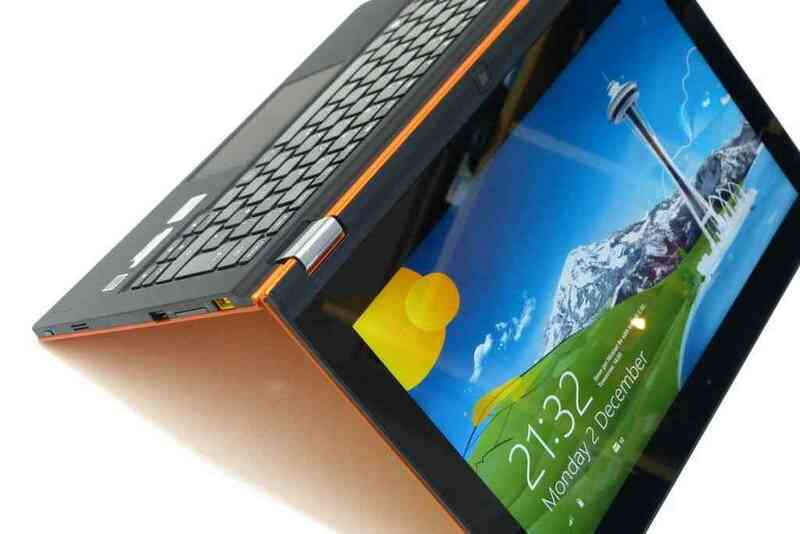 Consumers are truly finding peace with netbooks. When devices like this Dell cross over into the larger netbook market, they bring with them the low-cost pricing and that immediately damages the main notebook market. We end up with a pricing war that, in the long run, reduces funds for R&D, quality engineering and niche products. While the 12" Dell netbook device may look good for consumers now, it could cross over into the danger zone and cause real problems for the future.